The sunrise period of the Bid-Domains starts at 31th March 2014. 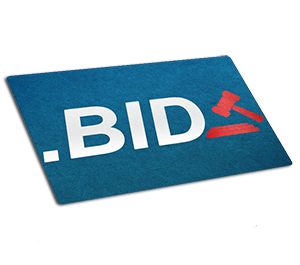 Here you can pre-register your name at the Bid-domain. Pre-registration is binding. If we secure the name you would like for you, you must pay the domain fee. The Bid-Domain costs 199 US-Dollars during Sunrise Period. The Bid-Domain costs 60 US-Dollars/year during General Availability. If your target group is located in German speaking countries, the Bid-Domain is a suitable domain for you.